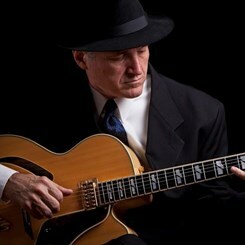 Brian Turner began playing guitar in 1968 and he has performed and recorded professionally for many years. Throughout his career, Brian has provided quality musical enterainment for a wide variety of audiences; from local area performances at The House of Blues, Rockefeller's, Fitgerald's, The Houston Music Hall, The Houston Club, Country Clubs, restaurants and festivals including The Renaissance Festival, A taste of Houston, and The Conroe Cajun Catfish Festival. Currently he performs every weekend at The Tularosa Southwestern Grill in Kingwood, TX. Brian has gained the reputation of being an outstanding musician. He is well known for his versatility and ability to play many different styles of music. Brian Turner, as a guitar instructor, began teaching professionally in 1977. He teaches guitar, bass, mandolin, banjo, dobro, lap steel, ukulele, dulcimer, and Puerto Rican cuatro. Brian Turner's Students come from all the surrounding cities in Harris and Montgomery Counties (Humble, Kingwood, Atascocita, Huffman, Porter, Spring, Houston, New Caney and Splendora).